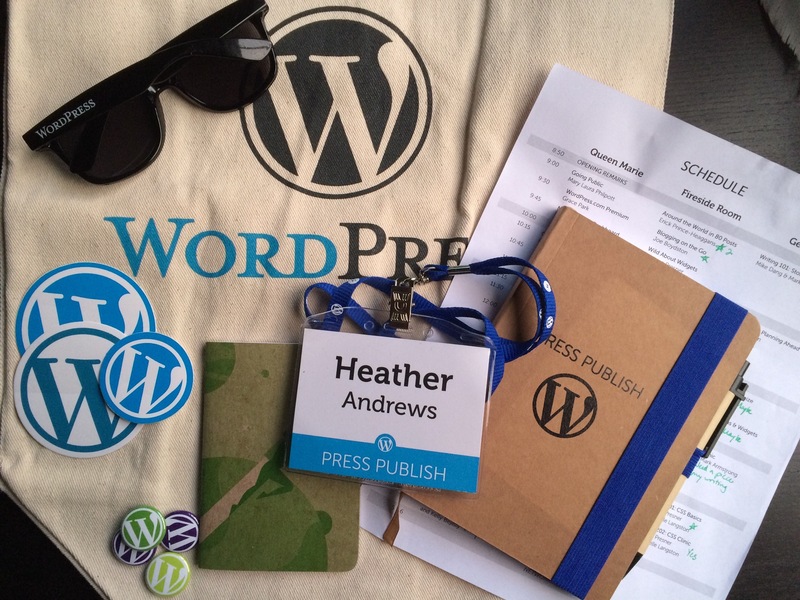 On Saturday I had the immense fortune of attending Press Publish, an event organized by the staff at Automattic. Basking in the morning sun while walking to MAX, I quietly lamented that I’d be spending my day inside, sedentary, and largely unengaged. The schedule was packed, ensuring there was something for everyone. Between hopping from room to room every 15-30 minutes, taking a breather in the Happiness Lounge, and marveling at the delectable food, my expectations were blown out of the water. I came away feeling energized, particularly excited to get back to the blog I run for work. Here are a few of the reasons Press Publish was so great. The immense popularity of Facebook means that many people around me are currently learning the down side of the internet for the first time—the stuff I learned (the hard way!) back in around 1997. Ananda’s statement summed up my philosophy in a succinct way. At Portland WordPress meetups, I had heard that Automattic’s staff members live all over the place, and there were several Portlanders in the bunch. Press Publish gave me a chance to meet them. Turns out, they’re really fabulous! Press Publish gave attendees an opportunity to mix with staff from Portland and beyond, who were presenting material, providing individualized assistance in the Happiness Lounge, setting attendees up with their conference packets, and more. They invited people to contact them via Twitter or directly at their work email. You can only retain so much new knowledge at a time. If you attend a class for a piece of software you’ve never used before, the knowledge you come away with will be at a more basic level than if you were to take the exact same class after you’ve been using the product for a couple of years. This is why I sometimes take classes that are below my skill level—so I can listen for details I didn’t know before, or just as a refresher on the basics. At Press Publish I deliberately attended a couple of sessions about things I had experience doing, but I deepened my knowledge by going. In Sheri Bigelow’s class that walked through the WordPress dashboard, I learned the importance of setting a featured image even if it’s not used by your theme. (The only trouble: I frequently embed images via other sites, and featured images need to be on the server.) Watching a presentation about podcasting basics, I confirmed that I was using well-regarded plugins, and even one of the recommended microphones. In addition to my personal WordPress.com use, part of my job involves running a self-hosted WordPress site. Our site started experiencing a very curious issue a couple of years ago. After consulting many sources and unsuccessfully trying fixes over many months, I was again at a dead end. Cue the Automattic staff available for one-on-one assistance inside the Happiness Lounge. Carolyn Sonnek listened to my sob story and gave me new hope! Since the new things to try involve a site outage, I haven’t tried it quite yet—but I feel confident that I got solid advice from someone who knows the product and who I know I can reach out to if the problem remains unresolved. I also got to give advice as well as receive it. At the end of Carolyn’s presentation about WordPress Stats and Jetpack, I asked a question and after the session, a woman tapped me on the shoulder and asked for my help. During that conversation, I got to draw upon knowledge of a detail I had learned just that morning, about how Facebook decides what information to pull from a WordPress post. If all that wasn’t enough, I got to take a photo of a chandelier that looked like a giant jellyfish! Press Publish is an excellent event for someone creating content and publishing work online. If you get a chance to attend one of these conferences, either in person in Phoenix or through the free live stream, do it. You never know what delightful surprises may be in store! Loved your blog post! Thanks for coming to my session. I’m glad you enjoyed it! Happy blogging!